For over 25 years, Bloomington Heating & Air has provided unmatched heating services to homeowners in Bloomington, MN, and the surrounding areas. Throughout the years, our customers remain our No. 1 priority, and we strive to maintain the highest quality in heating system services. 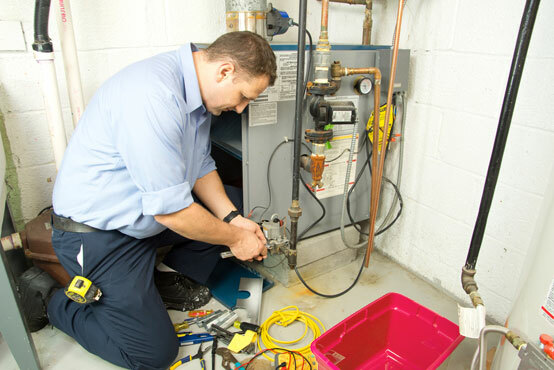 Our technicians undergo continual HVAC training for the most up-to-date heating system techniques and are prepared to handle any heating need day or night. For reliable heating installations, maintenance, and repair services, contact our HVAC repair company today! Heating systems become essential during the frost-filled winter months. Operating at peak efficiency, a heating system adequately warms each room of the home. But without routine maintenance, a heating system that is used day and night can develop problems, such as a worn out fan belt or a malfunctioning ignition control, among other issues. These problems impact the system’s ability to function and can either prevent heat from sufficiently being produced or cause the system to fail completely. If your system develops heating problems, don’t wait to schedule furnace repair service! The sooner you contact us, the faster our technicians can restore heat to your home and prevent any system issue from becoming worse. If you’re looking into replacing an old heating system, or are purchasing one for the first time, Bloomington Heating & Air can help you through the process. We offer a variety of residential heating system options from top manufacturers for you to choose from to fit your home’s unique heating needs. Our skilled technicians can professionally install the system and ensure that every component functions properly. Having a system properly installed by a professional HVAC technician is crucial to keeping your home at the desired temperature and avoiding costly nuisances in the future. Planned HVAC maintenance is key to prolonging the lifespan and increasing the efficiency of your heating system. Regular system checkups will help prevent small issues from becoming larger, more costly problems that could render the entire system obsolete. What’s more, HVAC maintenance will aid in reducing the need for repairs, the cost of utility bills, and provide a more comfortable indoor environment for you and your loved ones to enjoy throughout every cold season. Going without heat in your home during the winter isn’t an option. But if you find the heat isn’t working, day or night, Bloomington Heating & Air’s technicians’ prompt response will bring the heat back soon. Keeping our customers safe and satisfied is our No. 1 priority, and we achieve this through high-quality repairs and professional customer service. For emergency heating repairs in the middle of the night, call Bloomington Heating & Air!